I’m new to this forum as I am looking to see what other Sequoia owners are pulling. I bought my wife a 2018 Limited last October. 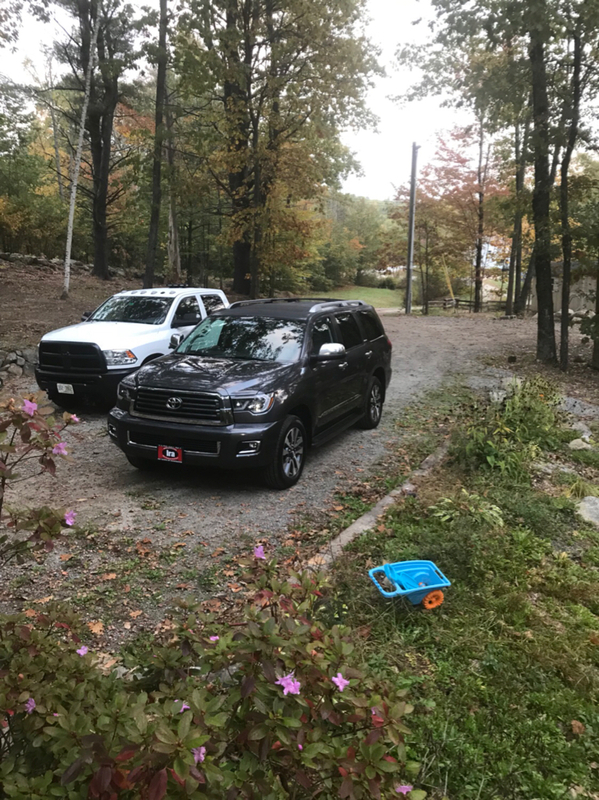 We are extremely happy with this family hauler, it is miles ahead of our previous 2015 4Runner, suburban and envoy Denali. Probably the best winter vehicle we have ever had up here in NH. We are in the market for a travel trailer so I wanted to see what ones you may be pulling along with what additions you have to aid in the towing.we are looking at 30’ish range,slide outs,bunkhouse etc as we are a family of 5 and the wife is pushing hard for another. The suspension is to soft for much weight in my opinion, yes a WD hitch and sway control would help but I would also like to add bags w/compressor but I haven’t seen any off the shelf options. I will likely upgrade tires at some point to a heavier sidewall.